Now, at the start of the height of wed­ding sea­son, it’s real­ly an excit­ing time for us. We have the estate pop­ping out in col­or, have reworked land­scap­ing, and see the pos­i­tive impact of many of our win­ter projects. We also have many cou­ples vis­it­ing us to final­ize their ven­dor meet­ings here on the prop­er­ty get­ting ready for their rehearsal din­ners or wed­ding recep­tions. We are lucky to have very thought­ful and cre­ative cou­ples that also ask our advice about how to make their des­ti­na­tion wed­ding fun and inter­est­ing for their guests, many who are not famil­iar with San Luis Obis­po and our love­ly region. It occurred to me that both Tony and I have had a ton of fun explor­ing here and I’d like to start fea­tur­ing many unique tours and less­er-known activ­i­ties that may spark inter­est for your wed­ding guests. It also might be real­ly fun for locals here that aren’t always aware of the newest places pop­ping up. Own­er Jack with one of his babies at the cream­ery. For my inau­gur­al fea­ture, I want­ed to share a spe­cial find after I recent­ly took a tour with friends at Steplad­der Cream­ery. Jack, the own­er, pre­vi­ous­ly worked in high tech in the bay area but relo­cat­ed to his grandfather’s avo­ca­do ranch in Cam­bria. His ‘hob­by,’ which start­ed with a hand­ful of goats mak­ing arti­san cheese from home, has now become his full time pas­sion with a new year-old busi­ness and ful­ly oper­a­tional cream­ery and dairy facil­i­ty (which is great news for all of us cheese lovers, trust me!). The best part is you can arrange a pri­vate tour of the farm and dairy for friends or guests! A bonus dur­ing this time of year is from Feb­ru­ary to July the dairy births dozens of baby goats, aka “kids,” that tour guests can cud­dle, kiss and bot­tle feed (bot­tle feed­ing depends on the time of day of your tour and the sea­son). Dur­ing the tour, I had so much fun play­ing with all the ‘kids’! Steplad­der Cream­ery is a small farm­stead arti­san goat dairy and cream­ery sit­u­at­ed along San Sime­on Creek in Cam­bria, Cal­i­for­nia. 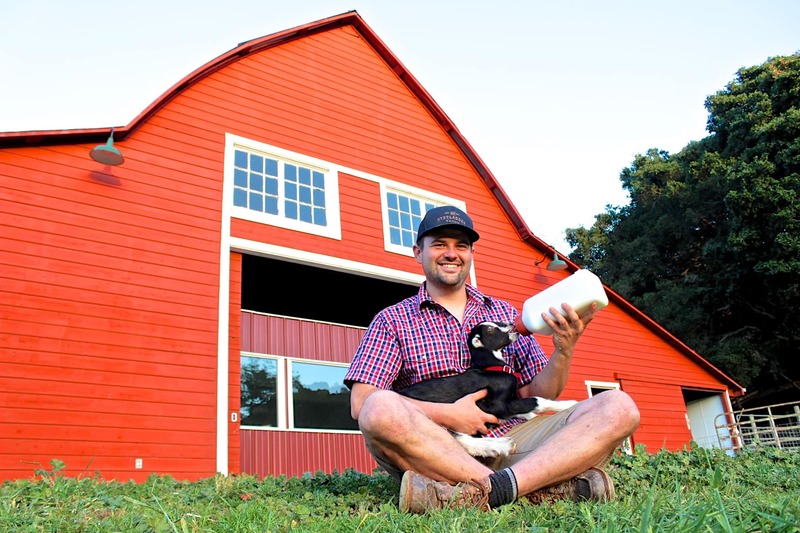 They spe­cial­ize in tra­di­tion­al­ly craft­ing small-scale, hand­made cheeses with milk from pas­ture raised cows and their very own herd of very well-loved Laman­cha goats. (These lit­tle guys are so cute and friend­ly too). 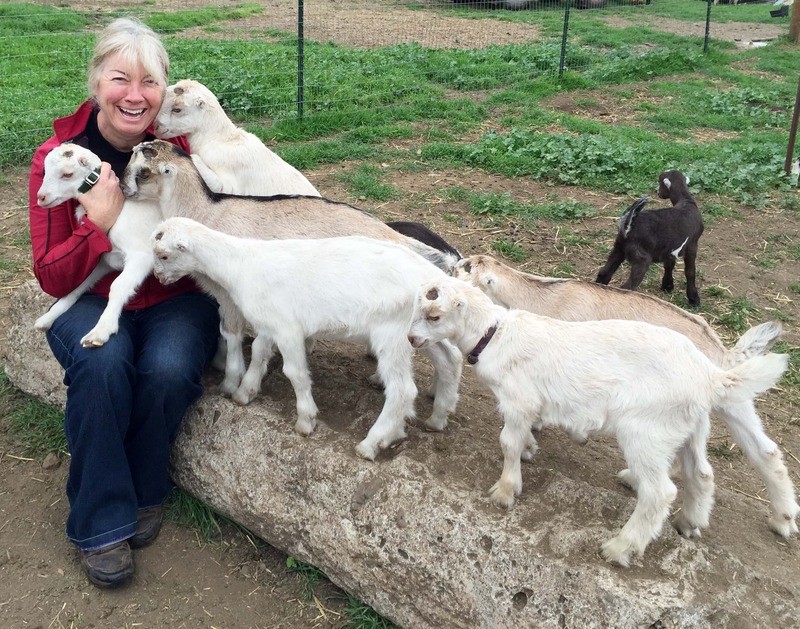 They cur­rent­ly offer pri­vate cream­ery tours dai­ly that are a won­der­ful way to get to know their friend­ly herd of LaMan­cha goats and tour the milk­ing par­lor that was built inside of the ranch’s his­toric 100-year old barn. Tour rates vary depend­ing on group size, and typ­i­cal­ly run $25 — $30/per per­son (min­i­mum tour rate is $100). The Steplad­der cheeses are delight­ful. The pri­vate tours are 1-hour long and will give you a unique and per­son­al­ized oppor­tu­ni­ty to see what’s hap­pen­ing inside of the cream­ery. 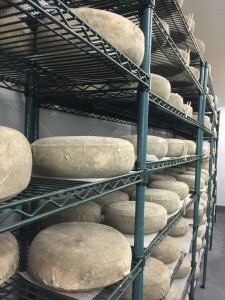 Guid­ed by one of Steplad­der Creamery’s staff mem­bers, learn about the sci­ence and art of cheese mak­ing, and con­clude your tour with a tast­ing of their sea­son­al goat and cow’s milk cheeses. Pat’s Tip: If they have any of their hon­ey (also made ‘onsite’), BUY SOME! It is delightful—and they make awe­some host­ess gifts. Fro­magerie Sophie Cheese Shop in SLO also car­ries Stepladder’s cheese and hon­ey and it sells out quick­ly. My friend Sophie astute­ly sur­mised that Stepladder’s bees and their prox­im­i­ty to grandpa’s avo­ca­do orchards must account for the won­der­ful creami­ness I fell in love with at the tour and tast­ing.